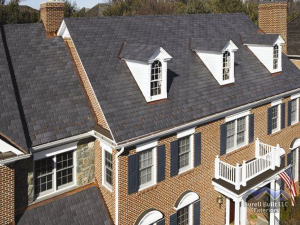 The professional team at Burell Built Exteriors understands that many factors can impact the lifespan and performance of your roof. We don’t take the decision to do a full residential roof replacement lightly, and commit to treating all of our customers with integrity. If we can fix the issue and know that your home’s roof will continue to hold up during rain, snow, ice, and heat, then we will simply make the repair! We’re not going to tell you that you need a whole roof if it’s not necessary. However, there are cases when the amount of wear, the age of the roof, and/or the extent of the damage render a roof replacement as the better option long-term for you and your family. Call our roofing contractors today for a no-obligation roof replacement evaluation for your Knoxville, TN or Chattanooga, TN home! Don’t let an aging roof cost you more in repairs to underlying structures and long-term damage. Let our team work with you to choose the best replacement materials and approach for your home roof. We’ll consider all the variables of your home exterior when evaluating the condition of your roof. You can trust our team to communicate our findings honestly, and we welcome any questions or concerns that you want to discuss in considering roof replacement. 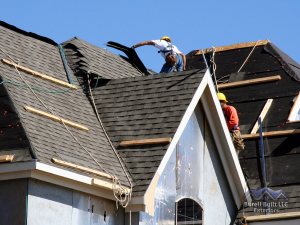 The Burell Built Exteriors commitment to hiring outstanding, experienced roofers and using only the industry’s best materials and manufacturers is what makes it possible for us to offer industry-leading warranties on residential roofing projects. Our team has over 20 years of residential and commercial roofing experience. Count on us to be your go-to roofing team and to walk you through, step-by-step, your residential roof replacement in Chattanooga or Knoxville, TN. Call us today to schedule an evaluation: (865) 385-6926 in Knoxville, or (423) 702-4042 in Chattanooga, TN! Updated on September 16, 2016 at 2:36 pm by Burell Built Exteriors.